Is Professional Counseling a Tax Deduction? Obtain a sales receipt for every counseling session you pay. 1. Can Counseling Be Deducted as a Medical Expense? 2. What Are the IRS Tax Brackets? You can deduct a variety of medical costs from your taxes. But for you to claim any health costs in your tax return, they must total more than 7.5 percent of your adjusted gross income. The deductible amount is anything in excess of those amounts. Professional counseling and therapy are tax deductible as medical expense if they meet that income threshold. You can claim physiotherapy on tax, as well as mental health therapy, under the same rules. To claim your counseling sessions as a deduction, you must itemize your tax write-offs on Form 1040, Schedule A. If you use the standard deduction that the IRS computes for the different groups of taxpayers, you cannot subtract the cost of your counseling sessions from your gross income. It is more advantageous to take the type of deduction – itemized or standard – that results in the largest deduction. Record the total you spent in therapy sessions in a tax year, as well as other medical expenses, on the appropriate line in Schedule A. If you're using tax preparation software such as TurboTax, fill out the TurboTax medical expenses form or the appropriate form on your software tool. The form’s steps guide you to calculate the amount that is over 7.5 percent of your AGI. Then, continue to add to the schedule all other deductible expenses you are eligible to claim. They include, but are not limited to, mortgage interest, the portion of other health and dental treatment not covered by health insurance, and property taxes. 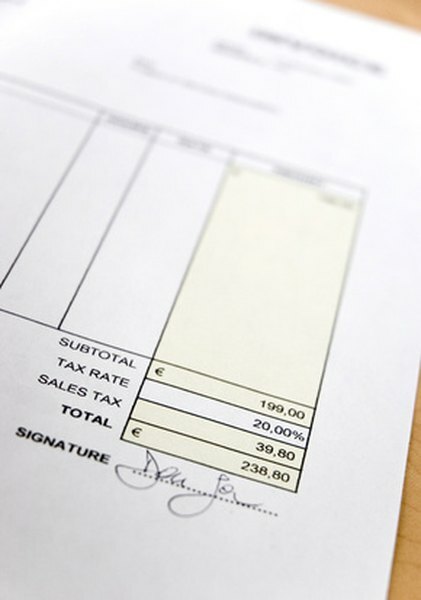 Tally the payments you made to reach your total itemized deductions. Transfer the figure to page 2 of Form 1040 to subtract it from your income. Whether you file a paper or electronic tax return with the IRS, you should not include any receipts with it. However, since the IRS may choose to audit your return, you must keep invoices and statements that prove you paid for the professional counseling sessions you claimed as a medical deduction. Note that if your health insurance policy reimbursed you in full or partially for the therapy, you may only write off your actual out-of-pocket expense. As payment proof, the IRS accepts bank, debit and credit card statements, as well as cancelled checks and signed receipts that clearly show who received the money, the amount and date of the payment, and the service provided. The U.S. tax code gives the IRS the authority to audit your tax returns in perpetuity if the agency suspects you knowingly submitted fraudulent information. But even in the absence of such suspicion, the federal agency may ask you to explain your return for up to seven years after you file it. Thus, at a minimum keep the receipts for your counseling sessions that long. The 2018 tax year changes don't affect the medical expense deduction, but they do raise the standard deduction to $12,000 for single people, $18,000 for head of household and $24,000 for married couples filing jointly, meaning there may be fewer people with enough deductible medical expenses to justify itemizing. In 2017, the standard deduction is $6,350 for single people and $12,700 for married couples filing jointly. It's generally only worth claiming medical expenses if your total itemized deductions will exclude your standard deduction. Can I Claim My Mortgage Insurance on My Tax Return? Can I Delay Taking Deductions on My Taxes and Wait Until Next Year? What Causes Delays in the IRS' Approval of Electronic Tax Returns?